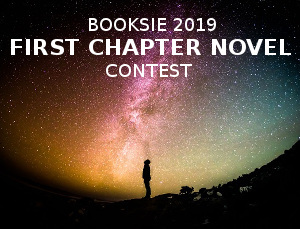 Another roughly two thousand years have passed and once more God’s great plan of life is beginning to unfold for lessons of a different kind for us and our world. We have reached the Age of Taurus, the fixed Earth sign ruled by Venus, the planet of peace and love, harmony and beauty. First let’s take a closer look at the characteristics of this sign. 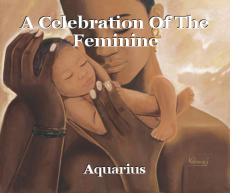 Taurus loves the good things of the Earth, like wine, women and song, and feels a great need to ground itself in material possessions of all kinds. It loves gold and money and clings to all its gains with steadfast determination and strength. It is impossible to know the exact time when humankind first began to dig for gold. Some of the oldest known golden artefacts have been found in the Varna Necropolis in Bulgaria. Its graves were built during the Taurean Age between 4700 and 4200 BC, but there are indications that gold mining could be much older and no less than seven thousand years old. The characteristics of unevolved Taurus are an over-strong desire nature that expresses itself in young and inexperienced souls as greed and avarice, envy and jealousy, overly clinging and possessive, over-fond of material goods and possessions. Jealously Taureans guard whatever they consider to be their possession, people and things alike. Grudges are born for a long time when something goes from them. 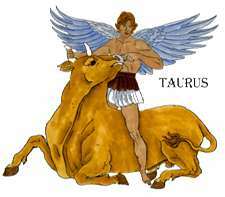 Taurus is the builder of the zodiac and this is the age when agriculture started to develop. As a continuous food supply from the Earth was ensured and had no longer be procured by hunting and gathering alone, ever more people gave up their nomadic way of life and living in tents made of animal hide. They started building homes for themselves in fertile areas where settlements appeared. As agriculture gradually became established and working the land was women’s work, there no longer was any need for the men to spend time on endless hunting excursions to provide food for their community. As the saying goes, the devil finds work for idle hands. Hordes of bored and dissatisfied men started to gather and roamed the countryside. They stole women’s produce and general marauding and troublemaking slowly but surely gained in popularity. Meanwhile, in Egypt the Great Pyramid and many other huge structures were built all over the country and especially in the Nile valley. Erected for the glory of the Pharaohs, the ancient Egyptian kings and queens, to this day they have remained some of the finest witnesses of what heights builders’ crafts reached during the Age of Taurus. 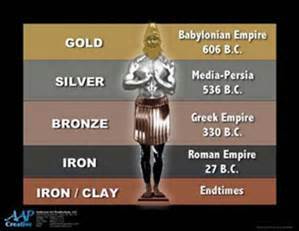 The walled cities of Babylon and Sumeria also came into being during this time. Ziggurats were massive structures built in the ancient Mesopotamian valley and western Iranian plateau that had the form of a terraced step pyramid of successively receding levels. Notable examples of this include the Great Ziggurat of Ur near Nasiriyah, Iraq; the Ziggurat of Aqar Quf near Baghdad, Iraq; Chogha Zanbil in Khuzestan, Iran; and Sialk near Kashan, Iran. Ziggurats were built by the Sumerians, Babylonians, Elamites, Akkadians, and Assyrians for their religions. Each ziggurat was part of a temple complex that included other buildings. The precursors of the ziggurat were raised platforms that date from the Ubaid period in the fourth millennium BC. The earliest ziggurats began to appear near the end of the Early Dynastic Period, about 2,900 BC. The latest Mesopotamian ziggurats date from the sixth century BC. Built in receding tiers upon a rectangular, oval or square platform, the ziggurat was a pyramidal structure that had a flat top. Sun-baked bricks made up the core of the ziggurat and for its facings on the outside fired bricks were used. They were often glazed in different colours and may have had astrological significance. The number of tiers ranged from two to seven.